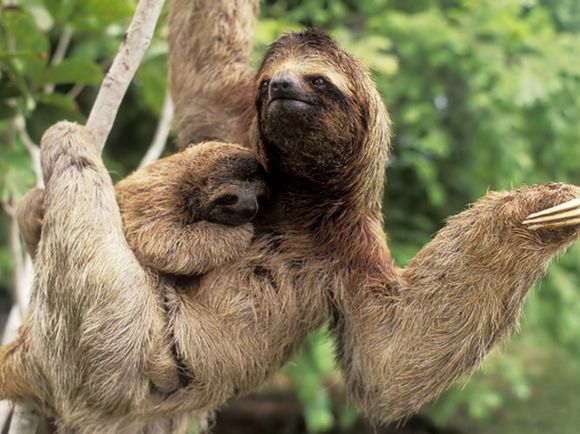 The Zoological Society of London (ZSL) and IUCN, the International Union for Conservation of Nature on Tuesday released a list of 100 species closest to extinction. More than 8,000 scientists came together to identify 100 of the most threatened animals, plants and fungi on the planet. However, conservationists fear these species may die out as none of these species provide humans with obvious benefits. The report, called Priceless or Worthless?, was presented at the IUCN World Conservation Congress in South Korea on September 11. The publication hopes to push the conservation of 'worthless' creatures up the agenda that is set by NGOs from around the globe. The Hainan gibbon is a species of gibbon found only on Hainan Island in China. The Hainan gibbon is one of the most critically endangered primates. 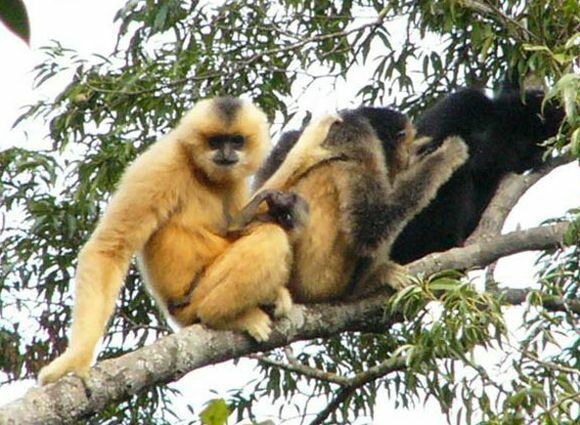 The Hainan gibbon lives in small family groups with a breeding male, two mature females, and their offspring. It feeds on ripe, sugar-rich fruit, such as figs and, at times, leaves, and insects. In the 1960s, much of Hainan's lowlands were deforested to make way for rubber plantations, causing a dramatic decline in their population, forcing the gibbon community to higher elevations. 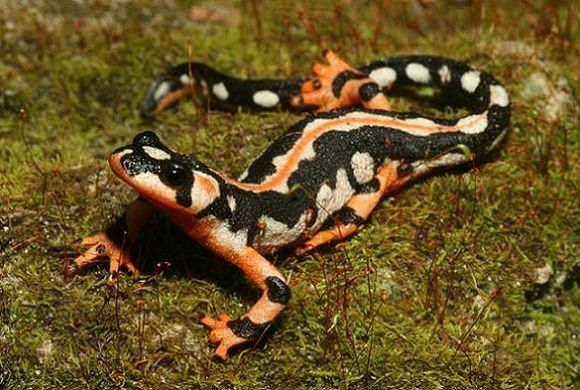 The Luristan newt is a species of very colourful salamander in the Salamandridae family. It is endemic to the southern Zagros Mountains in Iran. It is primarily found in highland streams that are surrounded by arid scrubland, but can also be found in ponds and pools. It is considered critically endangered due to its tiny range, continuing habitat loss, and the illegal capture of salamanders for the wild animal trade. 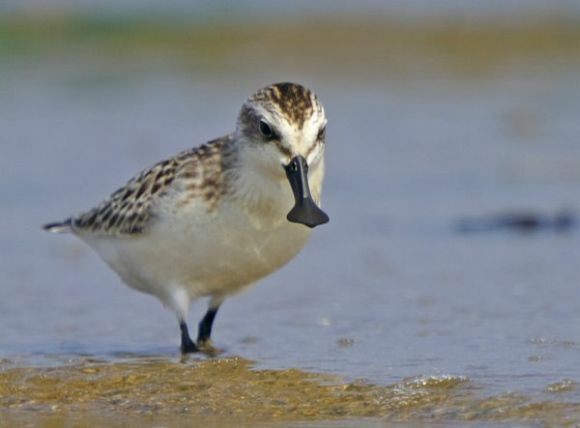 The critically endangered Spoon-billed Sandpiper is a small wader which breeds in northeastern Russia and winters in Southeast Asia. The most distinctive feature of this species is its spatulate bill. The main threats to its survival are habitat loss on its breeding grounds and loss of tidal flats through its migratory and wintering range. A 2010 study suggests that hunting in Burma by traditional bird trappers is a primary cause of the decline. Formerly classified as an endangered species by the IUCN, recent research shows that its numbers are decreasing more and more rapidly and that it is on the verge of extinction. 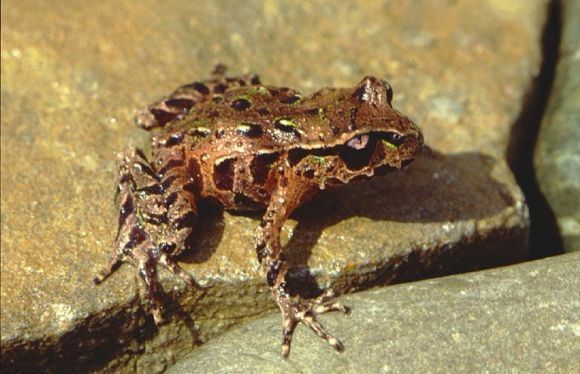 The Archey's frog is a primitive frog native to New Zealand. Named after Sir Gilbert Archey, the former Director of the Auckland Institute, it is found only in the Coromandel Peninsula and near Te Kuiti in the North Island of New Zealand. An intensively monitored population in one Cormandel site declined by 88 per cent from 1996 to 2001 but in many areas where frogs previously were common, none remain. Because populations are rapidly declining, and reproduction is infrequent, the species is at significant risk of imminent extinction. It is classed as Nationally Critical in the New Zealand Threat Classification System. 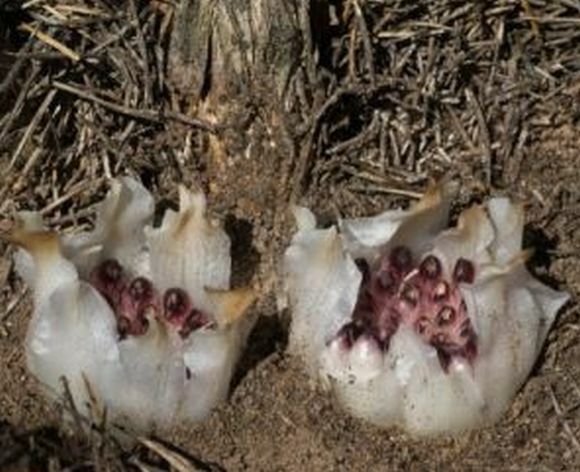 The West Australian underground orchid or Rhizanthella gardneri is a critically endangered orchid that lives all its life underground. It is a plant in the orchid family, discovered in the spring of 1928 in the wheat belt of Western Australia. The species was classified as Vulnerable on the 1997 IUCN Red List of Threatened Plants, and listed on Appendix II of the Convention on International Trade in Endangered Species of Wild Fauna and Flora (CITES). 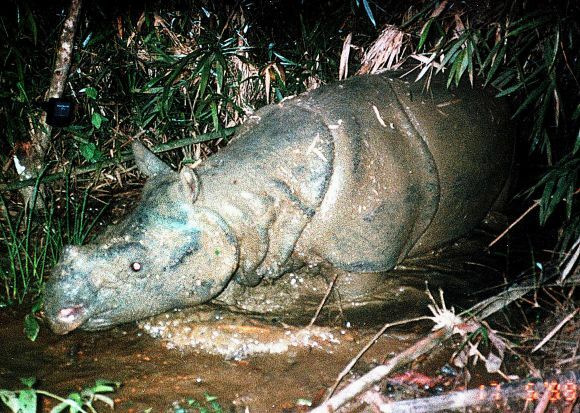 An extremely rare Javan rhino lumbers through a swamp in Vietnam's Lam Dong province and triggers a laser beam, prompting an automatic camera to take its picture. The World Wide Fund for Nature says there are only five to eight of the Javan rhinos left in Vietnam, making it probably Asia's rarest mammal. Hirola also known as Hunter's hartebeest, is an antelope species found in arid grassy plains in a pocket on the border between Kenya and Somalia. The hirola was identified as one of the top-10 "focal species" in 2007 by the Evolutionarily Distinct and Globally Endangered (EDGE) project. The Seychelles sheath-tailed bat was probably abundant throughout the Seychelles in the past, but it has declined drastically and is now extinct on most islands. It is one of the most endangered animals -- fewer than 100 are believed to exist in the world. 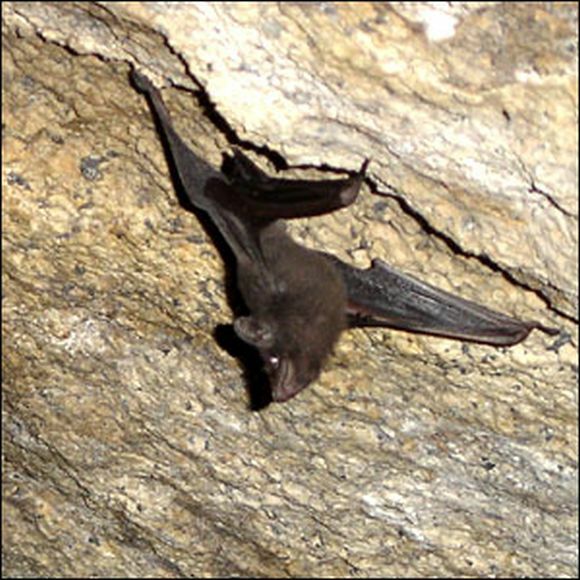 The Seychelles sheath-tailed bat has suffered from habitat deterioration due to the effects of introduced plant species. Ratu, a 8 year-old female Sumatran Rhinoceros (Dicerorhinus sumatrensis), is seen at the Sumatran Rhino Sanctuary (SRS) in the Way Kambas National Park, Lampung province. 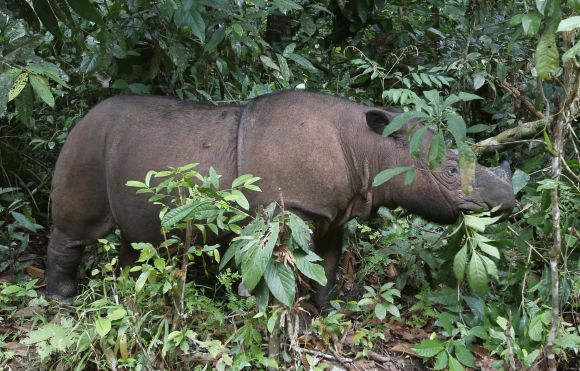 The species only haired rhino in the world is facing highly fragmented populations that caused by poaching and habitat loss, an Indonesian Rhino foundation said. They are now critically endangered, with only six substantial populations in the wild: four on Sumatra, one on Borneo, and one in the Malay Peninsula. The decline in the number of Sumatran rhinoceros is attributed primarily to poaching for their horns, which are highly valued in traditional Chinese medicine.